To fill this gap, the Center to Advance Palliative Care (CAPC), in collaboration with the National Coalition for Hospice and Palliative Care (NCHPC), is pleased to announce a new initiative: Mapping Community Palliative Care. The goal of this initiative is to develop a comprehensive inventory of community palliative care programs and estimate their prevalence nationwide. The three-year project, funded by the Gordon and Betty Moore Foundation, will catalog palliative care programs in the community to establish a baseline to track changes over time. 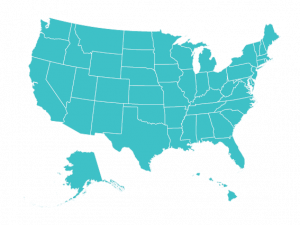 By completing a short eight-question survey, community palliative care programs nationwide can put their program “on the map,” identifying themselves, where their services are provided, and what services they offer. Participating programs will also help to build a national profile of palliative care across our communities. With the aim of collecting more detailed program information, respondents to the short eight-question survey will also be invited to participate in the National Palliative Care Registry™. The Registry is the only national platform gathering and reporting actionable program comparison data used to secure, expand, and retain resources for the delivery of high-quality palliative care. Programs participating in the National Palliative Care Registry™ provide annual aggregate data and, in return, receive reports that compare their programs to peer programs on a key set of structural and operational metrics. Mapping Community Palliative Care and the National Palliative Care Registry™ are both free and open to all programs across care settings. Mapping Community Palliative Care is also committed to increasing access to palliative care services for patients, families, caregivers, and providers. Programs participating in Mapping Community Palliative Care or the National Palliative Care Registry™ will have the option to be listed in the newly-redesigned palliative care provider directory, available to the public on GetPalliativeCare.org and scheduled for release in the fall of 2017. Anyone looking for palliative care resources will be able to search the directory by location and service type (hospital, home, nursing home, and office/clinic). As more community palliative care programs add their profiles to the directory, patients and families will be able to find resources and programs in their area to meet their specific needs. Mapping Community Palliative Care is working to bring the field of palliative care one step closer to a comprehensive national profile of palliative care services across care settings. To participate, please visit mapping.capc.org and “make your mark” today! 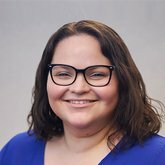 If you are interested in learning more about Mapping Community Palliative Care, please contact Rachael Heitner, MA, CHPCA, Research Associate at CAPC, at mapping@capc.org. Planning to join us at the CAPC National Seminar 2019? Stop by the Mapping Community Palliative Care table and put yourself on the map!